Florida traffic statutes define reckless driving as driving a vehicle in a manner that exhibits “willful or wanton disregard for the safety of persons or property.” This is often defined by the perception of the police officer. Reckless driving is a common charge in every part of the country but particularly in Florida. Regardless of the age of the driver, being distracted is a regular problem. People are texting, talking on their cellphones, drinking coffee, eating, or trying to do hair and makeup while driving. There are always ongoing conversations with others or something that catches the eye, meaning drivers are not concentrating the way that they should. The result can mean an accident that is one’s own fault or someone becomes an unfortunate victim. Contact us to discuss your case during a free case review. You may learn some very interesting facts about your case that you wouldn’t have thought of before. When a driver has been accused of reckless driving and issued a ticket, there may be a plausible explanation that is not due to recklessness. For instance, a person may go into cardiac arrest or have a seizure. A vehicle malfunction may occur due to faulty equipment, resulting in brakes failing or the accelerator to cause an extreme burst of speed. While such incidents may not be as common, it is still not acceptable to issue a reckless driving ticket when someone does not have all of the facts. A lawyer with expertise in the area of traffic law and infractions will be able to get to the heart of the matter and take the case to court, proving without a shadow of a doubt whether a person is guilty of reckless driving or is a victim of circumstance. 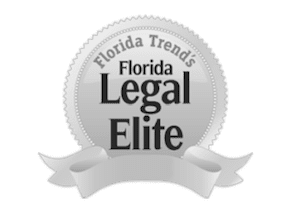 Police officers in Florida often let any unexplained or unclear traffic incident fall under the umbrella of reckless driving without just cause. For anyone who has experienced being charged with reckless driving, they need to know that they can protect their rights. Sometimes drivers get charged with racing or drag racing and they are unaware that they were racing. It was the perception of the police officer that they were starting too fast or squealing tires. Racking Or Reckless Driving Charges? Contact Us For A Free Consultation. Either of these offenses can result in points on your driver’s license and an increase in your insurance rates. The Umansky Law Firm can help you keep your driving record clean. Call us at 407-228-3838 or contact us online to arrange your free consultation.